Kiran was born in Toronto and raised in the GTA. Although not from the Niagara region, she considers it to be her second home. After initially starting her career as a lawyer in the field of intellectual property, she found that she was drawn towards litigation. In 2004 she began working at Martens Lingard LLP. Kiran’s current practice is exclusively civil litigation, including insurance defence and family law. She is an experienced negotiator and litigator, committed to efficiently and fairly resolving matters. When a settlement seems unattainable, Kiran’s attention to detail and thorough preparation achieves successful results through litigation, mediation or arbitration. 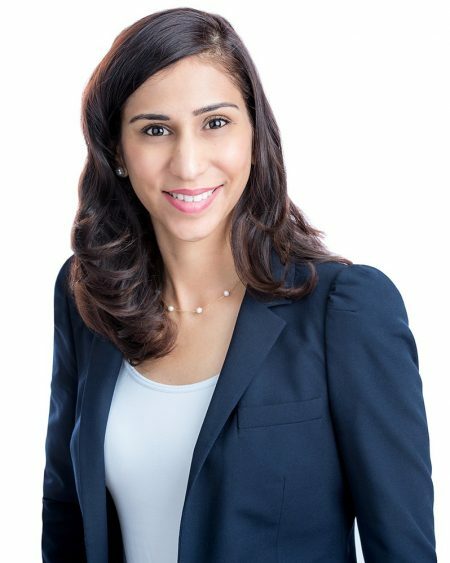 Kiran successfully completed the Intensive Trial Advocacy Workshop offered through Osgoode Hall Law School in 2004. In 2007, she was appointed as a member of the St. Catharines Community Liaison and Resources Committee for the Family Court. She continues to sit on this committee. She is Vice-President of the Lincoln County Law Association and the Chair of the Continuing Legal Education Committee. Kiran is also an active participant in the Canadian Defence Lawyers Association. Kiran also serves as a Dispute Resolution Officer in the Superior Court of Justice – Family Court in St. Catharines. Kiran recognizes that all clients are unique. She believes applying a practical and individualized approach nets the best results. Kiran is very family-oriented and loves spending time at home with her husband and young children. Her other priorities in life include staying active and working out.